Spring is here, and many of us are just itching to throw open the windows, let the fresh air in and tidy up inside. To help keep you organized and efficient in your tasks, we’ve rounded up the best apps for cleaning your house inside and out, getting you ready for spring in no time. The Spring Cleaning Checklist helps you get organized before tackling your spring cleaning to-do list. The app provides sample lists organized by each room so you don’t have to worry about forgetting something. 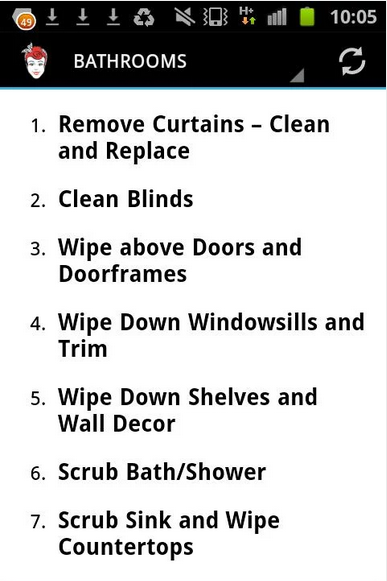 It also helps you get organized with tips for efficient cleaning. Check completed tasks off as you and easily keep track of what’s left to be done. Garden Pro! is a great tool to help get your garden in shape this spring. 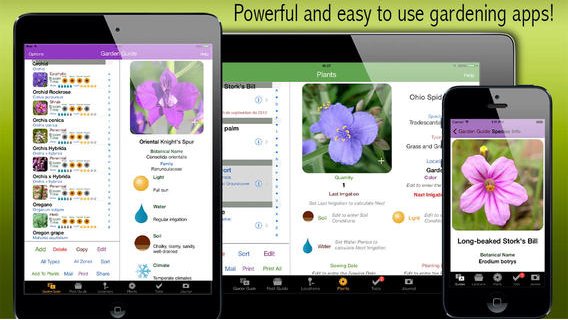 With over 7,000 plants in the reference guide, this app has everything you need to know about your garden. Take it with you to the flower mart to learn which plants grow best in your climate, planting and bloom times and light and water requirements. Set reminders to add fertilizer and use the app’s journal feature to document your beautiful blooms. You can even manage several flower beds at a time, making it easy to keep your yard manicured all season. 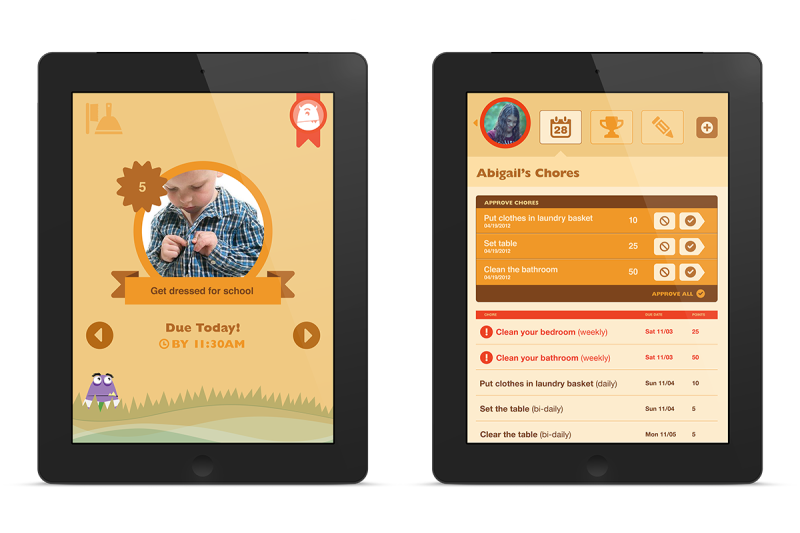 Chore Monster is a great app for parents trying to get their kids more engaged in housework. There are 2 versions of the app: one for parents and one for kids. Parents can easily set up tasks, deadlines and point values for chores each week, which are then pushed through to their child’s device. Kids can easily see what’s been assigned to them and what their prize is for completing each chore on time. Parents set the prizes, so you can pick what’s most motivating for your kids. The kid version of the app has several kid friendly touches like easy to understand icons for chores, interactive games to keep them interested and fun monsters to encourage them along the way. Looking to clear out some of the clutter you accumulated over the winter? 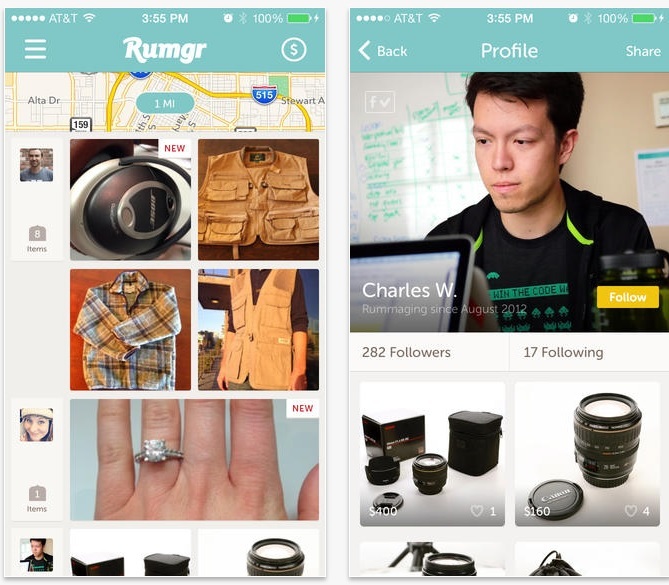 Rumgr is like a digital yard sale, perfect for selling the odds and ends you no longer need. As you’re cleaning out that closet or the garage, snap a picture of the item you want to sell, then post it in the app. Rumgr will alert your friends and neighbors of your new post and invite them to come “shop”. Interested buyers can message you in-app, so you never have to give out personal information. Users pay through the app too, so no need to carry cash or exchange any money in person. Could it get any easier? What are your favorite spring cleaning apps? Leave us a note below.